$5.00 per person. All films will start at 4pm. Experience your favorite films on the region's largest screen - a one of a kind experience that the whole family can enjoy! See you at the movies! All films are shown on the six-story giant screen in the Air Force Museum Theatre, located inside the National Museum of the U.S. Air Force. Accompanied by amazing eight-channel surround sound, the largest screen in SW Ohio puts you at the center of the action in a way no ordinary theatre can. Ticket prices for these screenings will remain $5 per person and each film will play on the 4th Sunday of each month at 4pm. 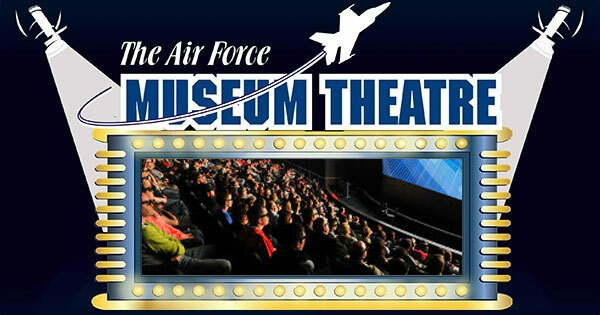 Find more events like "Hollywood Series at the Air Force Museum Theatre"
The world's largest and oldest military aviation museum, located in Dayton Ohio.